North Korea is sitting on around 200 different minerals, including a large number of rare earth metals, hidden in its mountains. The prized resources are attracting companies from China and South Korea, despite the political tension. ­In recent years the isolated country has shown no signs of economic improvement such as large-scale construction projects, modern cars and improved infrastructure, apart from the rumors of a nuclear weapons programme, Leonid A Petrov, a lecturer in Korean studies at the University of Sydney, wrote in an article in Asian times. The country’s economic recovery after famine and natural disasters could come from the exploration of its rich mineral resources, he stressed. North Korea's is set to have the world’s second-largest magnesite reserves, and its tungsten deposits are almost the world's sixth-largest. The country also holds sizeable deposits of coal, iron ore, gold, zinc, copper, limestone, molybdenum, and graphite. About 40% of the 138 Chinese companies registered as doing business in North Korea in 2010, are engaged in extracting minerals, according to the U.S. Korea Institute at Johns Hopkins University. Rich rare earths deposits are considered the most lucrative piece of the North Korean resource pie. Rare earths include 17 minerals used for many modern technologies like hybrid cars, weapons, flat-screen TVs, mobile phones, and mercury lights. 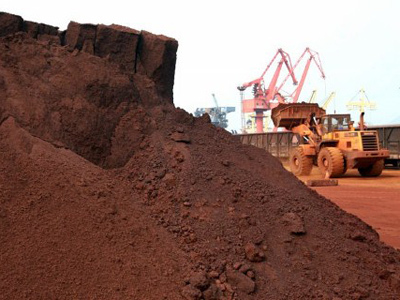 China has about 30% of the rare earths deposits and currently accounts for more than 90% of global supply. REM prices have become more costly after Beijing imposed export quotas and limited the number of companies licensed to sell them abroad. “The growing rise in REM prices and strong demand gives the young leader Kim Jong-Un a good chance to improve the economic standing of North Korea without actually reforming its economy,” Petrov said in the article. 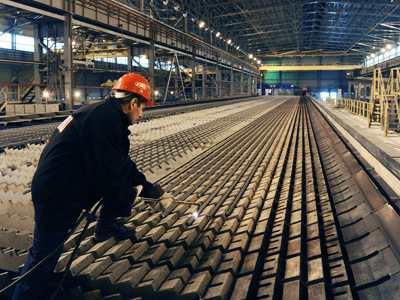 The North built a REM processing plant in Hamhung in the 1990s but has been unable to put the plant into full operation because of power and supply disruptions. 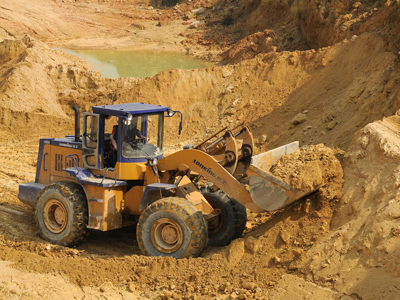 The total value of North Korean mineral resources is thought to be worth $6 trillion, according to South Korean state-owned mining company Korea Resources. “Not surprisingly, despite the high political and security tension, Seoul is showing a growing interest in developing REMs together with Pyongyang,” Petrov wrote. In 2011 the Korea Resources Corp visited North Korea twice to study the condition of a graphite mine, according to Wall Street Journal. Moreover, South Korea's developer recently admitted it held talks with North Korean counterparts about a possible joint-rare earth venture. Cooperation in mining and exploration could also help relations between South and North Koreas, Petrov stressed in the article, as well as with neighboring Japan and Taiwan.